Some Celtic fans were no doubt a bit baffled when the club signed midfielder Youssouf Mulumbu in the summer. The Hoops are blessed with a number of talented players in that area of the pitch so it did not make much sense why Brendan Rodgers opted to get the 32-year-old on the books at Parkhead. In the months that followed, Mulumbu only made three appearances for the Hoops in the first half of the season, and was sent out on loan to Kilmarnock in January for the rest of the campaign. That did not come as much of a surprise given that he was pretty much overlooked by the manager, after all, there are much better midfielders at Celtic than Mulumbu – and seeing as he was barely played and was farmed out on loan, you would be inclined to suggest that he does not have much of a future at the club. He recently admitted that his career is not over with the Hoops, but it is hard to see him break into the team when he returns in the summer – so the club should just cut their losses and cash in on him when his loan stint ends. “I’m here for six months to help Kilmarnock and if I do every right and if we achieve something very good, I know I’ll be back at Celtic in the summer and everything can change from there,” he said, as quoted by the Evening Times. 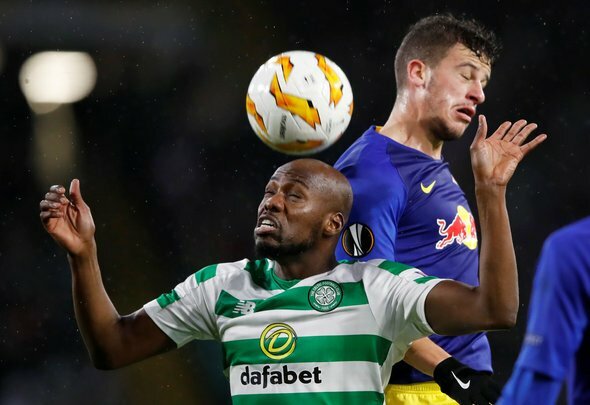 Mulumbu is clearly going to struggle when he returns to the Hoops in the summer, and the fact he has been cast aside implies that he is not in Rodgers’ plans. He is not good enough to be at a club like Celtic, so the club should do the right thing by axing him permanently in the summer – as his future with them is pretty much dead and buried.